How does your plan stack up? Guarantees: All your savings are at risk if both become ill, and the vast majority at risk if only one person needs long-term care. Guarantees: You give up $420k regardless if either of you need care. Still spending down nearly all assets in only one needs care, all if both. 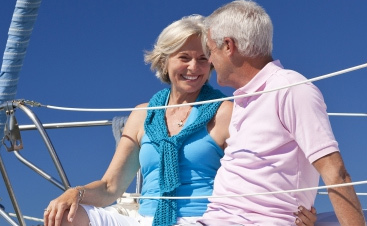 Savings: $660,000 You deposit: $157,425 with the Insurance company Should one or both need care, company pays $8,329 per person-per month Tax-Free for long-term care costs – for LIFE (unlimited) YOU choose your care options! Liquid Assets Left: $502,575 If you cancel: you always get the cash value of the contract less any Long-Term Care benefits paid ($179,665 of Cash Value is Guaranteed at year 20) If you die without needing Long-term care, your estate will receive a: $277,646 Death Benefit Tax-Free from day one. Guarantees: No additional premiums for long-term coverage even if both need care for extended period. If they don’t need care, guaranteed to get all or more money back. If husband and wife are both in need, they will receive up to $16,658 per month tax-free for life. * These values will vary by state and circumstance. This figure is given as an estimated maximum to determine Community Spouse Resource Allowance. Actual values may be less depending on your non-exempt resources. 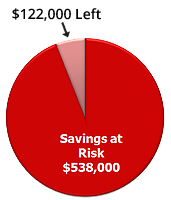 Self Insuring is often presented as an alternative by many financial advisors as a way to offset premiums. However, self insuring also creates other problems such as risking the majority of your savings as well as paying taxes when converting your assets to income to pay your bills. On the above example, these clients will have to spend $538,000 before Medicaid will provide help and that leaves the healthy spouse with only $122,000 of savings. New plans eliminate this risk and will pay you back if you never use them. Medicaid Planning is often presented as an alternative by many attorneys. However, the net effect is the same as self insuring. 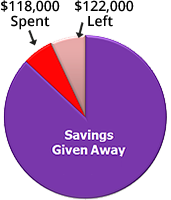 You must give away and spend down the vast majority of your savings in order to qualify for Medicaid. And you must do this at least five years before you apply. If you never need care, you can’t get back the money you have given away. You also give up the ability to remain in control of your care options as the government will determine how you receive care. It also leaves the healthy spouse in a vulnerable position and could wipe out the rest of your assets if they need care in the future. 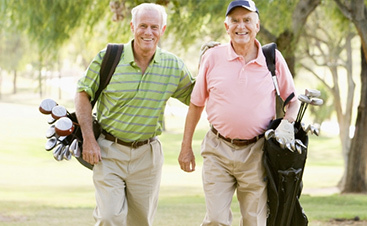 Long-Term Care Planning has changed due to recent federal and state rules. By repositioning a portion of your savings, you can protect all your assets even if both you and your spouse need care. And if you don’t need care or cancel your plan, you will get your money back plus interest. 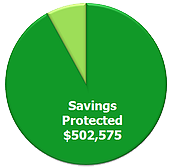 This example gives up some growth early on the savings side in exchange for a lifetime or unlimited amount of long-term care protection. This is a prime example of why self-insuring or Medicaid planning is not the best option should you need care. If you don’t need care, you never lose a dime and get your money back plus interest. With an unlimited amount of funds to be paid for care, the family can continue with their other commitments regardless of who needs care or how long they need care.